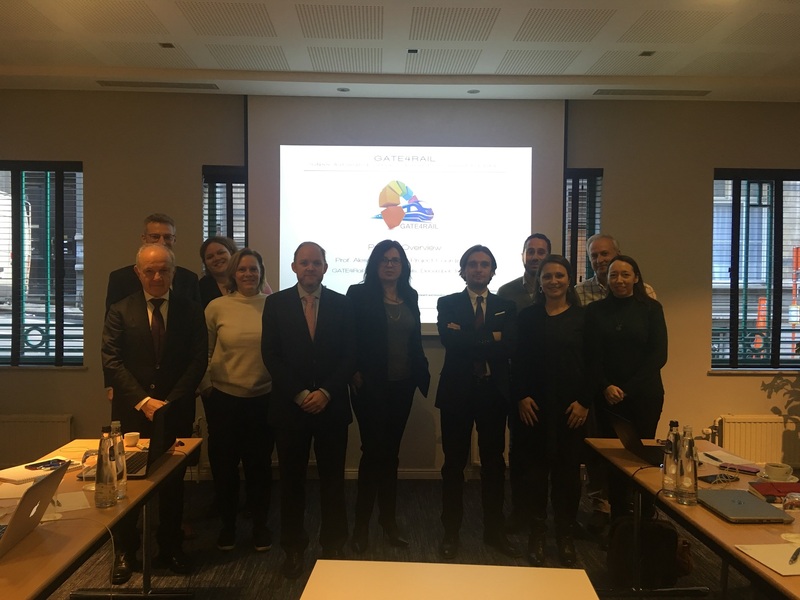 The Gate4rail project kick-off was held in Brussels on 10 December 2018. Lea Paties, Shift2rail programme manager, presented S2R's expectations regarding the project, contractual and administrative issues. Prof. Neri, the project coordinator, illustrated the Gate4rail project goals, its activities and relationship with the other previous projects and the link to Shift2rail projects, X2Rail-2 and X2Rail-3. Cosimo Stallo showed the project timeline, the WBS and the main outputs. Then, each WP leader presented the WP goals and activities and timeline. If you wish to get additional information and/or to participate in project events, please login.